Family Law is a complex legal area. Issues often involve intense emotions and have the potential to be life changing for the entire family. If you are involved in a divorce or other family law matter, it is important to have an experienced Morton Grove family lawyer on your side to advocate for the best possible outcome. 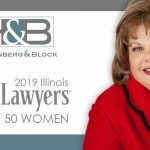 At the Morton Grove Family Law Firm of Hoffenberg & Block, we have been providing comprehensive divorce and family law representation to clients in Cook County, Lake County, Dupage County, Will County, McHenry County and surrounding north eastern Illinois communities for over 45 years. We are a full-service family law firm, providing personalized, professional service to clients from day one until resolution of their issues. 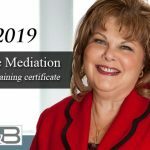 Our practice covers a wide range of family law matters, including divorce and legal separation, child custody and visitation, child relocation, spousal and child support, property division, modification or enforcement of current court orders, prenuptial and postnuptial agreements, and civil unions. Divorce, whether contested or uncontested, can be a complex legal process. When children are involved, even an amicable divorce can become an overwhelming emotional battle. When property is involved, it is important to take action to ensure that your future interests are addressed. Although technically a divorce is a decision made and carried out between two people, the truth is that the choice to enter into a divorce will have much wider-spread ramifications. Whether considering the effect on the couple’s children, or how relationships, such as in-laws, extended family or friends, it is impossible to deny the consequence divorce will have on your life. For this reason, divorce is an extremely delicate area of the law that should not be handled by an inexperienced attorney. You deserve to have the guidance and counsel of someone who is intimate with this area of the law, someone who will be able to help you navigate through the process. The mishandling of a divorce case can have long term detrimental effects, turning what could have been an amicable resolution into a bitter, drawn out courtroom battle. With the help of a qualified Morton Grove Divorce Lawyer, your divorce or family law matter will be handled in a manner that can benefit your current and future interests as well as those of your family. At the Law Offices of Hoffenberg and Block, our team is comprised of skilled, dedicated and hardworking Morton Grove divorce and family law attorneys. Our goal is to educate, negotiate, mediate or litigate to the best of our abilities to maximize the outcome for our clients. Our legal team has over 100 years of collective legal experience in trying divorce and custody cases throughout the Chicago metro area including, Cook, Lake, DuPage, Will and Mchenry Counties in Illinois. Our experience, commitment and dedication to our clients have made us one of the leading divorce and child custody law firms in Morton Grove. When you work with a Morton Grove Divorce Lawyer at our firm, you have the backing of our entire team in helping you achieve a favorable result in your family law issue. While many divorce cases may be settled amicably, it is in your best interest to have a have an experienced family law attorney represent you and protect you and your children. 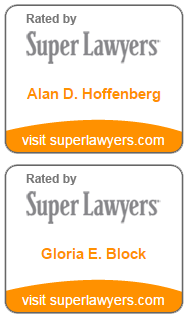 At the Law Offices of Hoffenberg and Block, we have the experience and skill necessary to protect your family. We also understand the difficulties and confusion that the majority of family law cases can present. 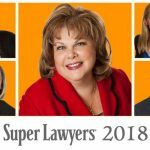 That is why our team of professional attorneys strives to provide each individual client with the knowledge, communication, attention and dedication they expect and deserve. We value our clients and will aggressively fight for successful results. If you are facing a divorce or fighting for custody of your children, contact our law office immediately. Our main office is conveniently located at 30 N. LaSalle in Chicago, IL, 60602. Call us today at (312) 853-8000 to schedule a no obligation case evaluation with one of our experienced family law attorneys. We can discuss your case with you, help you better understand your options and make this time less difficult for your family. 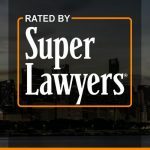 We are proud to serve clients in the Chicago area, including Cook County, Lake County, DuPage County, Will County and McHenry County with respect to family law matters, including divorce and legal separation, child custody and visitation, spousal and child support, property division, modification or enforcement of current court orders, prenuptial and postnuptial agreements, and civil unions.